Discovering a better way to fly has helped this flightless bird spread his wings and get around. When you get to travel across the world like I have – Los Angeles, London, Australia – you realise just how differently things are done. Take Christmas. You might think that everyone’s Christmas looks the same - blankets of snow, Jack Frost nipping at your nose and warming yourself up with hot chocolate around the fire. 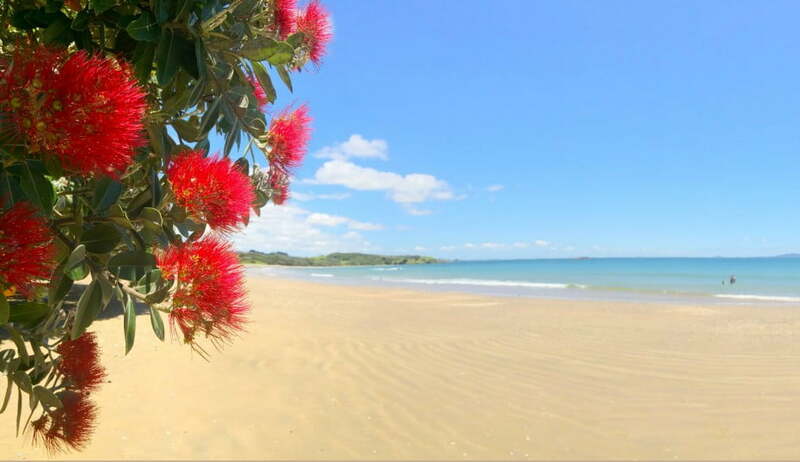 But if you’re spending Christmas in New Zealand, keep the sled at home and if you decide to roast chestnuts on an open fire – be prepared to get a bit sweaty. Even though it might be summer and look like anything but a winter wonderland, you can still expect to hear people singing about one. The Brits might have voted Fairytale of New York as their favourite seasonal singalong, but it’s no contest in New Zealand what the favourite song is. Snoopy’s Christmas is as much a part of Christmas in New Zealand as Santa himself. Other songs and carols exclusive to New Zealand include 'Te Haranui', Christmas in New Zealand and A Kiwiana Christmas. Families will start to put their decorations up from the 1st of December, and though many Kiwi families will have a green pine tree, the traditional Pōhutukawa is the symbolic Christmas tree. You won’t put one up in your home but resting in the warmth under these red trees is what many New Zealanders consider the perfect Christmas chillout. The ruby red leaves emerging across New Zealand’s lush landscape and the sound of Snoopy’s Christmas marks the unofficial start of the season. As it’s the start of the summer season, outdoor activities are common for Christmas, and most towns will have some form of Santa parade. Only Santa might be wearing ‘jandals’ - flip-flops, to the Brits amongst us. Well, we’ll ease you in. The usual Christmas Eve customs are pretty similar to what you might be used to. Think family and friends coming together – food, games, maybe a cheeky beverage (or beverages – it is the holidays after all). Some things are universal. Gathering around to watch a cosy classic like Love, Actually being just as common in sunny New Zealand as it is in chilly London. You’ve made it to the big day. Merry Christmas – or Meri Kirihimete! Kids of all ages (even going up to their 30s/40s in some houses...) will wake up to tear into a stocking left at the foot of their beds. After presents and a Bucks Fizz breakfast for many, it’s time to hit the beach. Yep, that’s right. It’s the start of summer in New Zealand so you’ll see the parks and beaches crowded with Kiwi families preparing a barbie. Instead of gathering around the table, paper hats on and the remnants of Tesco’s finest Christmas crackers scattered across the floor, most kiwis will opt for fresh seafood and barbecued meats outside. 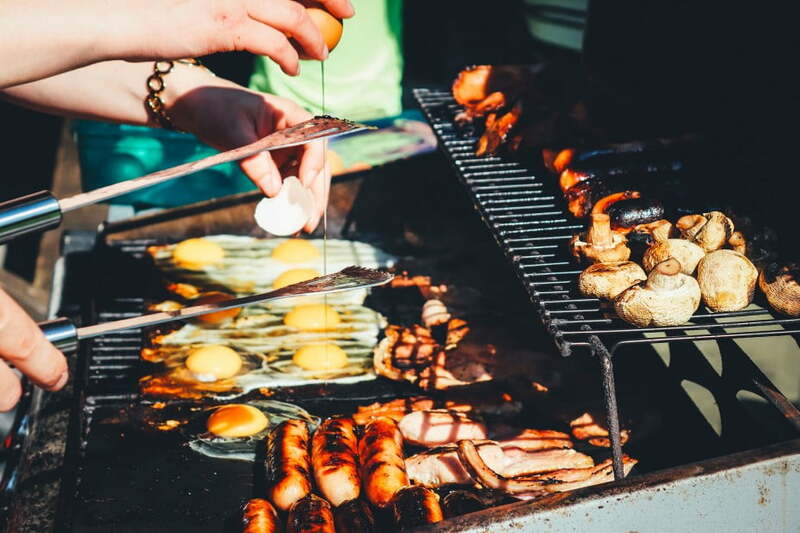 They've also been known to rustle up breakfast on the barbecue. Not something I’d advise for a December afternoon in Sheffield, but unmissable here in NZ! Breakfast on the barbecue, why not! For those of you who might want that feeling of sitting around sharing a big meal with family or friends, a more traditional Hangi could also take place. In traditional Maori culture, a hangi involved cooking foods including fish and chicken, and vegetables such as kumara (or sweet potato), in a pit dug in the ground. Today, people might also cook pork, lamb, potato and cabbage when preparing large feasts. And to round it all off, a whole lot of palava. No, wait. That’s pavlova. Palava is what happens a few hours in to most family Christmases and the arguments kick off. 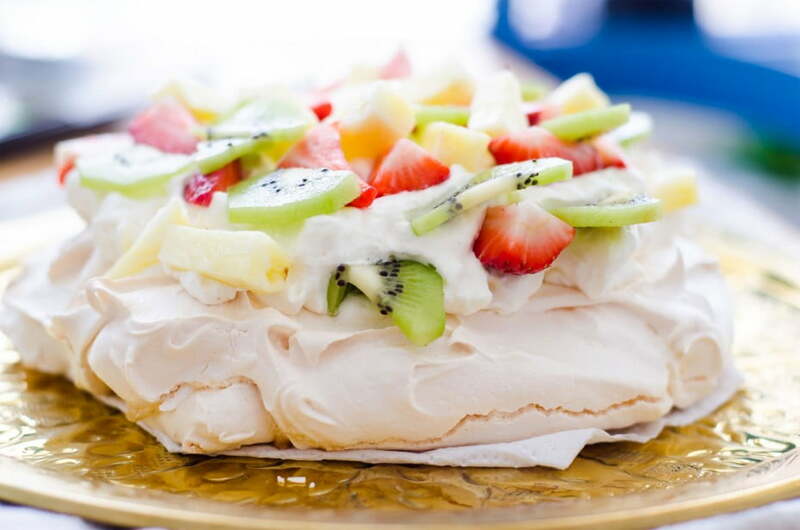 Instead of butting heads around a Yule log or a cheese board, the dessert of choice for most Kiwi families is the traditional pavlova. Sales shopping is a thing in New Zealand, but not quite to the extent that it is in England. Most families will opt for a more chilled affair. Boxing Day is all about relaxing at the beach. Pack up all the leftovers and head out with family and friends. Play Pétanque beach cricket or touch rugby, go for a dip and, of course, finish the day with an ice cream. Depending on whereabouts you’re visiting, going to the races is a big date on the social calendar for Aucklanders. The New Zealand Herald Boxing Day Races have become an iconic fixture at Ellerslie Racecourse in Auckland. So pack your finest frocks – and maybe some spanx. All that pavlova and BBQ might cause a bit of a squeeze.